Heart-shaped leaves open reddish purple and harden off to a bluish-green. Fall color is magnificent apricot to yellow, sometimes red and orange. Leaves in fall give off a distinctive cotton candy smell. 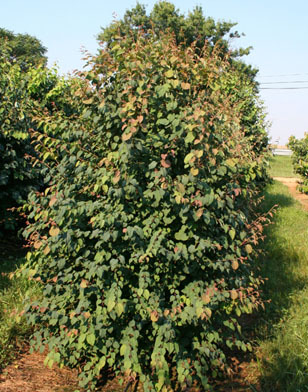 Excellent symmetrical tree with few pest or disease problems. Tolerant of urban pollutants, however requires ample moisture in order to establish.